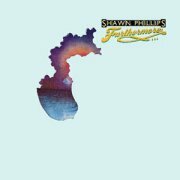 In some quarters, Shawn Phillips is still best-known for his work with Donovan in the late '60s (his trademark 12-string acoustic sound is all over Don's early albums), but he's still playing and recording today, albeit sporadically. Furthermore... appears to be his 7th album, veering between something approximating his '60s folk whimsy and prime '70s fusion, sometimes in the same track (the lengthy Planscape), which gives a slightly schizophrenic feel to the record. The lyrics are all most heartfelt and obviously where Phillips' heart really lies (his father was a renowned author), so the jazzy muso stuff (from the likes of über-session dude John Gustafson) just seems out of place. 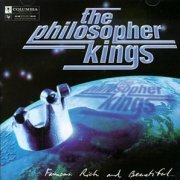 The Philosopher Kings are (or were; they seem to've been inactive for several years at the time of writing) a Canadian 'r'n'b' band, for want of a better phrase, playing a polished amalgam of funk, pop and soul. 1997's Famous, Rich & Beautiful is their second album, professional to a fault, but largely dull as ditchwater to ears attuned to slightly more challenging music. The album's at its best on The New Messiah, its unusual, highly rhythmic piano part causing it to stand out from its fellows, the rather out-of-place epic rock of Wide Awake and the high-speed jazz of closer Dinah. Jon Levine's Mellotron work comes in a strange little cluster near the end of the record, with a chordal flute part and a string line on Head First and strings and cellos on The New Messiah. To be perfectly honest, you're not going to buy this for its Mellotron use, while the bulk of the rather overlong album will hold little appeal for the average Planet Mellotron reader. Where to start? The sleeve is actually less awful than I'd expected, although the rear, featuring some terrible band pics and the legend, "Phinaly! Philthy's Phirst Phono! ", is side-splitting. The bulk of the poorly-recorded album is, of course, covers from their cabaret set, with one original thrown in for good measure. On the upside, their take on Creedence's Up Around The Bend starts well, before slipping back into cabaretland, while Summertime (complete with wah guitar part) could be worse, ditto the wildly energetic I'm A Man and I Finally Had The Time. On the downside... The rest of the record is Cabaret Hell, particular horrors including opener Sweet Caroline (not much you can do to rescue that one, frankly) and horrible versions of The Wanderer and Heartbreak Hotel, while the brief Break Song is no more than the band mucking about in the studio in full-on kindergarten mode. As for the juvenile 'risque' jokes thrown into Get Back, well, what can I say? Clearly the band's set closer/encore, this 'live in the studio' take might have gone down well with their regular audience (assuming they had one), but is worth paying good money to avoid. A little more time spent tuning up and polishing those vocal harmonies (not to mention writing their own material and forming a proper band) wouldn't have gone amiss, either. Vince Stevens is credited with Mellotron, amongst other keys, with upfront flute and string parts on Summertime, raucous strings (not to mention a ripping synth solo) on I'm A Man, background strings on I Finally Had The Time and upfront ones again on the hilarious Jesus Christ Superstar, although the male vocals on the track sound real. Well, you're not going to run into a copy of this easily - in fact, it's only Mark's and Jenny's detective work that's unearthed it at all - but, to be frank, you're not missing a great deal. Saying that, this is FAR better than the string of dismal '70s Christian efforts Mark's provided for me... Surprisingly decent Mellotron use, too. After The Grateful Dead, Phish can probably be regarded as the granddaddy of jambands; forming in the early '80s (at a New England university, natch), they split up after twenty years together, only to reform a few years later. 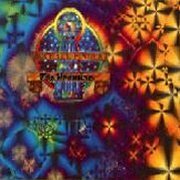 1996's Billy Breathes is their eighth album; much like the bulk of the Dead's studio output, it bears few of their live hallmarks, being a nice collection of mainstream rock songs, influences including psychedelia and Americana. Highlights? Difficult to say, although there's some especially nice guitar work on the title track, while the title of closer Prince Caspian makes a change from Lord of the Rings, I suppose. As can be seen in the picture to the right, taken from a Youtube 'making of' video, keys man Page McConnell plays Mellotron, with brass stabs on the title track and a single skronky string chord on Steep, choking off at the end. The sequence in the footage? Hard to say; apparently, initial sessions were (to quote Wikipedia) "...An attempt to create a sonic 'blob' that filled an entire reel of tape. Each band member contributed on multiple instruments. This idea was later abandoned but elements were used on the tracks Swept Away and Steep". 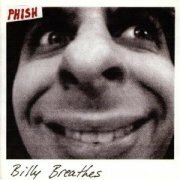 While in no way a Mellotron Album, Billy Breathes is a far better record than I'd expected, featuring no extraneous jamming whatsoever. 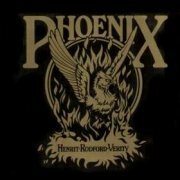 When Argent split in 1976, the other three members (guitarist/vocalist John Verity, bassist Jim Rodford and drummer Bob Henrit) carried on, renaming themselves Phoenix, presumably for the obvious reason. Their eponymous debut, later that year, is a pretty lacklustre affair, if truth be told, full of the kind of 'middling rock' non-genre that was so prevalent at the time, typified by the failed synth-funk of Mississippi Neckbone and the 'nothing rock' of Honey. Any 'best tracks'? Er... Opener Easy's sort-of OK, From The Ashes is a decent enough ballad and A Woman Like You might be OK if it were shorter, but it's pretty slim pickings, I'm afraid. Although I've seen it mooted that Rod Argent added keys to the album, it seems far more likely that it's Rodford (in fairness, he is actually credited with keys) who sticks Mellotron strings and cellos all over From The Ashes. However, while it's possible he underpins the band's backing vocals on I'll Be Back For More with choir, he probably doesn't. The band recorded one more album, '79's In Full View, a far more overtly AOR effort, featuring the occasional highlight, but no Mellotron. The Phoids (US) see: Samples etc. Phonograph (US) see: Samples etc. Phosphorescent (US) see: Samples etc. Mark Pickerel & His Praying Hands (US) see: Samples etc. Picture Palace Music (Germany/Austria) see: Samples etc. 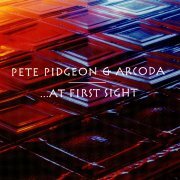 Pete Pidgeon & Arcoda's ...At First Sight is a right mish-mash of an album, not to put too fine a point on it; largely jazzy, with occasional funkiness and diversions into Americana, reggae, hip-hop, blues, folk... I'm all for 'eclectic', but this comes across more as 'unfocused', I'm afraid. Best track? Possibly Apple Core, even if it is a little on the overlong side. Adam Beamer plays Chamberlin, with a flute solo and a brief chordal choir part on Apple Core. Real? The Chamby's a real sod for this; fake Mellotron's easy, but fake Chamberlin? I think so, is the best I can do. Rebecca Pidgeon (UK) see: Samples etc. An Pierlé (Belgium) see: Samples etc. 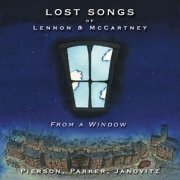 Pierson, Parker, Janovitz are Kate Pierson of The B-52's, Bill Janovitz from Buffalo Tom and inimitable Brit pub-rock supremo Graham Parker, whose remit on Lost Songs of Lennon & McCartney: From a Window is to tackle a bunch of songs John and Paul gave away. Of course, the project has one major flaw: it's the songs they gave away bit. Re-listening to the early Beatles albums recently, it became apparent that everything before, say, Rubber Soul contains a highish level of filler, so their cast-offs aren't likely to be that great, by modern standards... Correct. 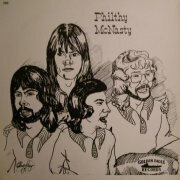 The best track here is Come And Get It, a major hit for the ill-fated Badfinger, leaving the substandard likes of Love Of The Loved and Step Inside Love (both originally by Cilla Black), Tip Of My Tongue (Tommy Quickly) and the title track (Billy J. Kramer & the Dakotas) to fill up the record. As you can see, each vocalist takes between four and six leads, with Mellotron users Johnny Society on a few tracks, including a duet with Cheap Trick's Robin Zander, although even he can't rescue a song as average as That Means A Lot. Producer Jim Sampas had the good sense to have a fairly consistent house band throughout the album, including ex-Fairport Conventioneer Dave Mattacks on drums and bassist Paul Bryan. Bryan doubles on Chamberlin on several tracks, with a strings pitchbend on Parker's From A Window gives the Chamby game away, cellos and flutes on Bad To Me and strings on It's For You, Come And Get It, Nobody I Know and Woman, the last two named sounding as close to real strings as the Chamby can manage (damn' sight closer than a Mellotron, then). 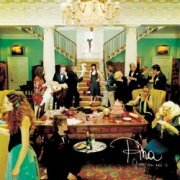 This can be seen as a companion piece to 1979's The Songs Lennon and McCartney Gave Away compilation, with more consistency, although I suspect a few performances here fall slightly short of the original recordings, not least Pierson's painfully 'out of her range' wail on Step Inside Love. 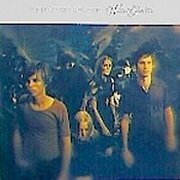 Overall, then, a potentially decent album let down by surprisingly weak songwriting, given whom we're talking about. Good Chamberlin use across the album, though, so possibly worth it on that front. Pigeonhed (US) see: Samples etc. Pigface (UK/US) see: Samples etc. 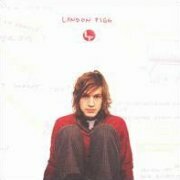 Landon Pigg's yet another young, good-looking singer-songwriter types who has his thoroughly ordinary songs made over by top-notch producers until they turn into something that can be used on deeply mainstream US TV shows like The O.T. or something. His first full album, LP (his initials; passable pun), is every bit as drippy as that description would have you believe, otherwise, duh, I wouldn't have written it. Patrick Warren plays Chamberlin once more, with strings on Just Like I Am, flutes on Great Companion and strings and surprisingly high-in-the-mix flutes on Tin Man, plus the usual several false alarms. Or are they? All of which is no excuse to even remotely consider buying this heap of elephant dung. Landfill wussy singer-songwriter drivel? Pilate (Canada) see: Samples etc. Pilgrym (UK) see: Samples etc. If you're British and of a 'certain age', you'll remember Edinburgh natives Pilot's two mid-'70s hits, 1974's Magic and the following year's number one, January. After Alan Parsons produced their debut album, several of the band went on to play in the Alan Parsons Project and on the first two Kate Bush records, amongst others, becoming pretty much the soft-rock go-to guys of the day. That isn't to call Kate soft-rock, obviously, although those two albums definitely feature traits in their arrangements. Pilot's sound centred around Beatles-esque pop with a '70s twist, making it surprising that their hit list isn't longer. 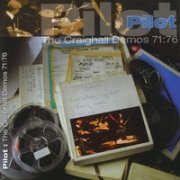 2007's self-explanatory The Craighall Demos 71:76, alongside more familiar material, features a clutch of songs that didn't make it to any of their four albums, unless any were early versions; I'm not au fait with the band's catalogue. Of eighteen tracks, none made it to their debut, '74's From the Album of the Same Name, five ended up on '75's Second Flight, none on 76's Morin Heights and two on their swansong, 1977's Two's a Crowd. Highlights include the jaunty You're My Number One, You're Devotion (correctly spelled: those were the days when things were) and, of course, the wondrous January, but few, if any of these will disappoint fans. 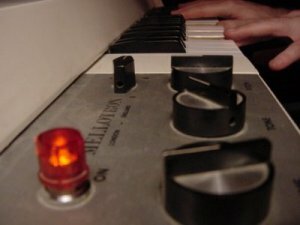 Mellotron? Keys man Billy Lyall (1953-1989) uses one on several tracks, although I can't tell whether they were recorded at the same set of sessions. Anyway, we get distant choirs on opener The Library Door, upfront strings and flutes on Lazy Davie, background strings and flutes on Joe, chordal strings (although the flute sounds real) on Reason and upfront flutes on January. Could this be used as a primer for the band's work? Probably not - there are several easily-available compilations - but (to my knowledge) it's the only place you'll hear them use a Mellotron. Pilot Balloon (Germany) see: Samples etc. 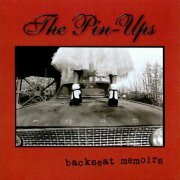 The Pin-Ups' (sole release?) Backseat Memoirs apparently began as a solo project for frontwoman Dejha (Clayton), a kind of eclectic powerpop album, covering possibly too many bases for its own good. Highlights include raucous opener Narrow Escape, the gentle Waltz For Lucy and These Days' hard rock, but a little more focus might have made for a better end result. Co-producer (and studio owner) Martin Feveyear plays credited Mellotron on Miss Fortune, with a nicely real-sounding rising strings part, enhancing one of the album's weaker tracks. Bit of a curate's egg, then, but its best material is worth hearing. Pina Kollars is an Austrian emigrée living in Ireland, after her divorce, 'discovered' by Peter Gabriel. 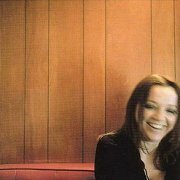 Her debut album, 2002's Quick Look, was recorded at and released on Real World and is a bit difficult to describe, to be honest; a bit folk, a bit goth, a bit indie and a lot rock, although none of those really cover it. It's by no means a bad album, but you'll have to be quite into that 'modern singer-songwriter' sound to get much out of it, I suspect. Pina plays Mellotron on several tracks, with background strings on On A Day Like Today, a flute melody and strings on The Flight, vague background strings (plus real cello) on Josephine, cellos on The Lady, strings on The Tower and strings and cellos on closer I See The Blue. Little of the Mellotron use is upfront, but it's all good to hear. She followed up with 2005's Guess You Got it, stylistically not dissimilar to her debut. In all honesty, this really didn't grab me, although plenty of online reviewers are swooning over her Mittel-Europa tones, to the point where I can't even attempt to rate any one track over any other. 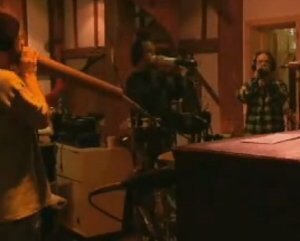 Pina plays much of the guitar and all of the keyboards on the album, including the 'Mellatron' flute part on On Such A Lovely Day, although the strings on Bucket Of Love are probably generic samples. So; if you'd like to hear what Kate Bush may've sounded like had she been 25 years younger, Pina may be for you, but having found myself unable to engage with two albums that, on the surface, are perfectly 'good', I really can't recommend these, I'm afraid. More 'Tron on the first than the second, but not that much. Well, I'd better come clean and say at this point that I'm not the Moody Blues' biggest fan, and that goes for their solo work too, but with knobs on. Sorry, but I just find it all a bit bland for my taste. The music on The Promise is that sort of rather middle of the road country-tinged singer-songwriter stuff that was all the rage in the mid-'70s; extremely professional, but deeply unexciting. Think the worst end of the Strawbs and you're getting close. 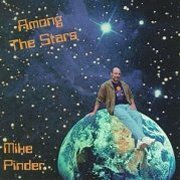 Mike Pinder's actual playing is fantastic; he's frequently fêted as one of the all-time Mellotron greats, particularly with regard to his manipulation of the notoriously difficult Mark II. Unfortunately, there's very little of it to be heard here, though I don't know whether or not that was because he was sick of it after using it almost exclusively with the Moodies. Saying that, his last recording with them had been four years earlier, as The Promise was actually released towards the end of the band's period of self-imposed exile. Pinder rejoined them for their reformation album, Octave, but ended up only playing on half of it before leaving again, leaving the keyboard slot to Patrick Moraz. Anyway, the 'Tron strings (MkV, I believe) on I Only Want To Love You aren't bad, but the song isn't really worthy of them, and the title track's strings could easily be mistaken for a rather distant string section, although those choirs may be 'Tron. The only track that caught my ear at all is the short The Seed; shame there isn't a little more instrumental experimentation like it on offer here. As a result, I'm afraid to say that it's difficult to recommend this as a 'Mellotron album' at all, despite its pedigree. incidentally, the CD (on Mike's own label) adds two tracks, one of which is One Step Into The Light, a remake of a track from Mike's last Moodies album, Octave, including the immortal line, "There's one thing I can do, play my Mellotron for you". It appears he does precisely that: the flutes and pitchbent strings on the track don't sound that much like a 'Tron, although they probably are (I don't actually know when this was recorded), but the strange little flute coda most definitely is. "In 1976 I held a 256K digital memory chip in my hand and I saw the future....again." (correct), which leads inexorably to: "I still play the Mellotron, and when I do it never breaks down because I have all of the sounds stored in my digital samplers". No you don't, Mike; you play samples of a Mellotron. Have your samplers never broken down? Lucky you. 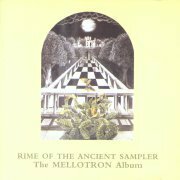 In 1993, Mike contributed an insipid little piece called Waters Beneath The Bridge to the legendary Rime of the Ancient Sampler: The Mellotron Album, but like most of the album's tracks, it isn't actually worth the money you'll probably be asked for a copy, despite some nice 'Tron strings. 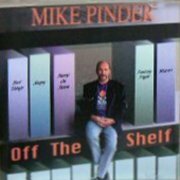 The song also found its way onto Pinder's first solo effort since The Promise, '93's mini album, Off the Shelf, expanded to full length the following year as Among the Stars. Unexpectedly, the bulk of the material finds the point where AOR meets MOR, and is thoroughly insipid throughout. When I tell you that When You're Sleeping, a faux-country ditty featuring Pinder's infant children is one of the least cheesy songs contained herein... I can only strongly urge you to avoid this album unless you're a die-hard Moodies fan. I mean, it actually makes Justin Hayward's appalling Songwriter look dynamic... I'm reliably informed that Waters Beneath The Bridge is the only genuine 'Tron (or quite possibly Chamby) track on the album; the rest of the 'Mellotron' work is almost defiantly fake, backing up Pinder's aforementioned assertions re. computer memory chips. Courtney Pine (UK) see: Samples etc. Pine Valley Cosmonauts (US) see: Samples etc. Pineapple Thief (UK) see: Samples etc. 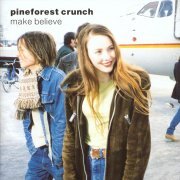 If The Cardigans represent the most successful Swedish pop of the '90s, Pineforest Crunch represent the best. Including Änglagård drummer Mattias Olsson, they play bright, breezy and above all tuneful summery pop, with little of the programmed sound peddled by so many of their contemporaries, bar the occasional loop. Female vocalist Åsa Eklund has a gorgeous voice, and I can only think that a simple matter of lack of overseas promotion has prevented them joining their countrymen in the land of fame and fortune. I don't really hear a huge variation in style between these three albums; the band seem to know what they're good at, and operate on the 'if it ain't broke, don't fix it' theory. Apparently Make Believe was a (relative) runaway success, selling over 100,000 copies, since when the band have 'downsized', using their own studio facilities. If you find any reference to an album called Shangri-La, it's essentially a Japanese reissue of Watergarden with two extra tracks. So, the Mellotron. Mattias bought Änglagård's M400, and has used it on many projects over the last few years. It's actually played by bassist/keyboardist Mats Lundgren, rather than Olsson, and after a tentative start on Make Believe, they've really gone to town with it on Watergarden and Panamarenko; orchestrally-arranged strings, flutes and cellos mainly, although various other sounds creep in here and there, including pipe organ, viola and various woodwinds. There's even a couple of Chamberlin sounds (played via Mellotron) on Panamarenko, along with some Optigan (optical disc player). 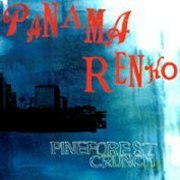 So; for uplifting summery pop, you really can't beat Pineforest Crunch, and there's loads of 'Tron too. Excellent albums. Just don't expect anything like Änglagård! One from Scott Hamrick. Note the heavy 'Dune' references, incidentally. 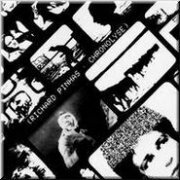 Richard Pinhas has made a long and illustrious career out of combining uncompromising rock and cutting-edge electronic music. He is most known as the founder of the pioneering French techno-prog group Heldon (which had close ties to Magma and Lard Free), but he has several fine solo albums to his name as well. Chronolyse is the second of these solo albums and has much to offer to the prog/electronic aficionado while offering the bonus of Mellotron usage. Side one is comprised of a series of slightly dry, clinical sounding studies in early sequencing techniques where different repetitive rhythms are pitted against each other in various configurations. The first seven short tracks are all variations on similar themes using nothing but Moog synthesizers. It's good stuff if you like the idea of polyrhythmic synth bleeps and wooshes, but probably a little tedious for those who don't. Side two is quite different, however, and only here does the Mellotron make its appearance. The entire side is occupied by a single, incredibly protracted and spaced-out jam titled Paul Atreides. Here cold, spacey synth explorations (ARP 2600?) mingle with a rock framework to create what sounds a whole lot like Klaus Schulze sitting in during a King Crimson improv circa 1973. Pinhas' guitar, synths and Mellotron are augmented by Didier Batard's bass and Francois Auger's hypnotic drums, so this is basically a Heldon recording. It lives up to any expectations that name might imply too. Mellotron strings and cello are present through much of the middle section of the piece, but are rarely too prominent in the mix, as Pinhas' multitracked guitar solos tend to dominate much of the affair. Not really a classic on Mellotronic grounds alone, but a fine and very adventurous album.